Let’s take a look at Lavender Lust. This eye color quad was first released in Spring 2013 as an Asian exclusive along with another quad named Seductive Rose. I believe Seductive Rose was likely the more popular of the two but I really really wanted to check out Lavender Lust for myself. This wasn’t an easy task — it involved begging a friend who lives in Singapore, arranging to have some funds transferred, and stalking the post office and my mailman daily for about 2 weeks straight. Turns out that was all completely unnecessary as Lavender Lust is joining the permanent collection this Fall as a replacement for Violet Dusk. Who knew?!? (Note: Seductive Rose is joining the permanent collection as a replacement for Crushed Amethyst). Before we dive into the shadows, can we take a moment to admire the case, please? 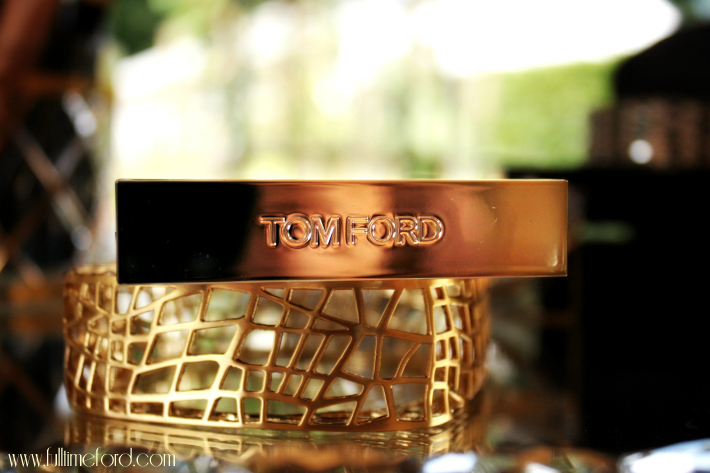 TOM FORD Beauty packaging is — by far — my favorite cosmetic packaging. The eye color quads don’t come in some cheap plastic case. They come in the same beautiful high-gloss black/maroon packaging as the rest of the collection. Each quad is encased in a brown velvet sleeve which doubles as a cloth you can use to help remove fingerprints from the outside of the case. But we aren’t here to admire the packaging, right? We are here to examine the shadows! So let the drooling commence. 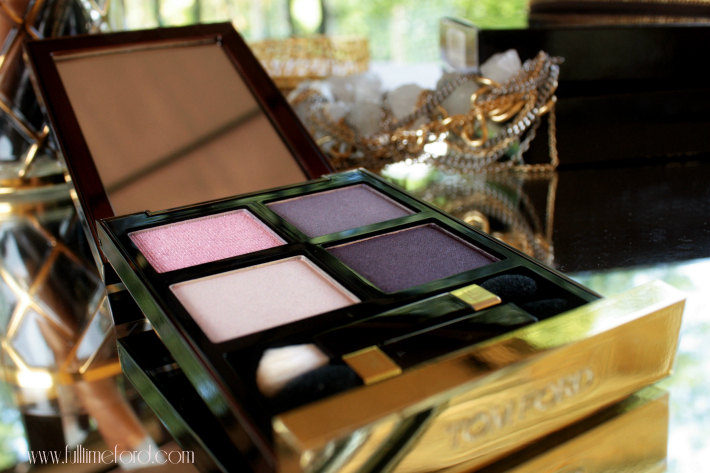 Remember the crazy, super-pigmented purple shadows that were popular during the 1980s? 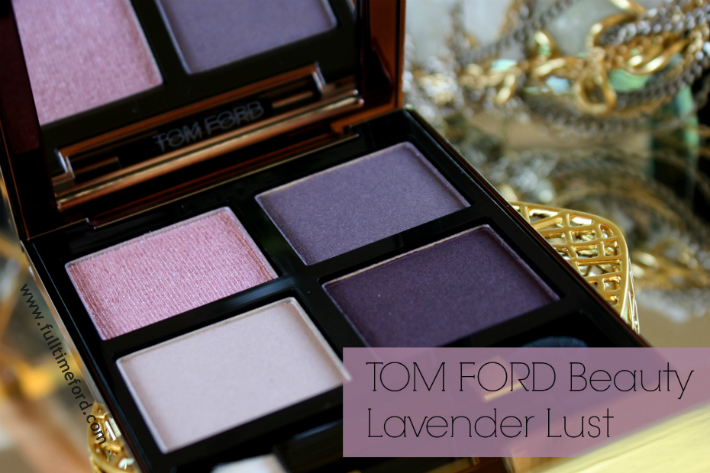 Lavender Lust is a very subtle quad… it is beautifully pigmented but it is delicate. It is sensuous. It is opulent. All four shades compliment one another and work together to create a very soft cool-toned smokey eye with just a touch of sparkle. 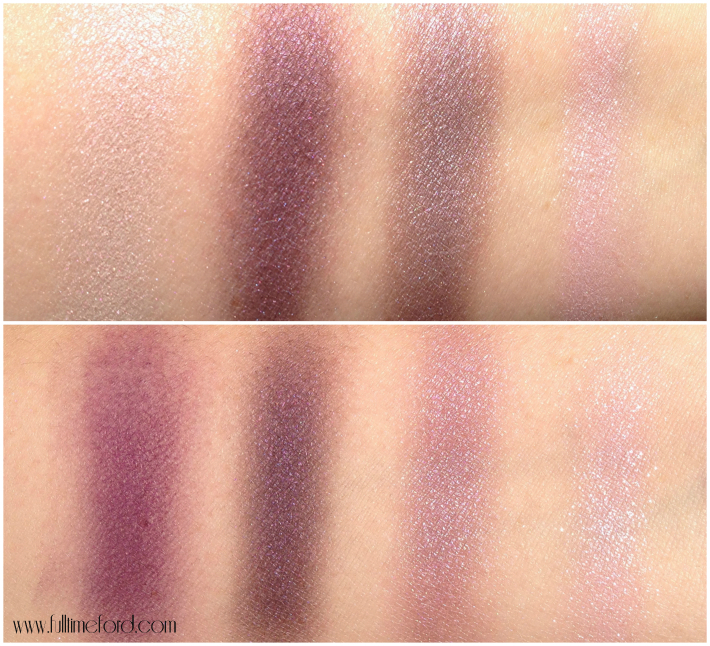 I mentioned above that Lavender Lust is replacing Violet Dusk in the permanent collection. They definitely aren’t dupes of one another, but I own both and can see why this decision was made. Lavender Lust is a softer quad and the color edit is more sophisticated. I think it is also more wearable. There are definite differences in the color edit, the most noticeable being the bottom left shade followed by the top right. Bottom right: very similar colors in both. Violet Dusk is perhaps a bit brighter and warmer but they are virtually identical on me. 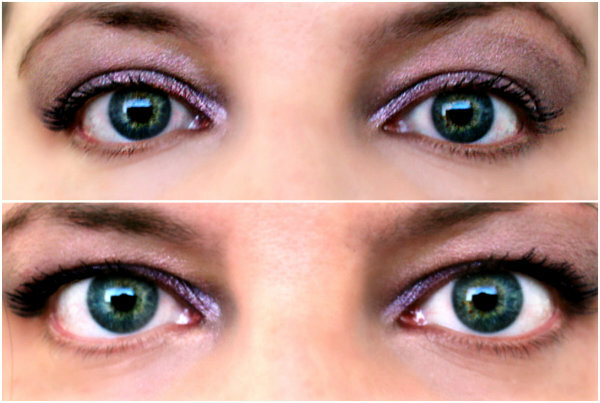 I still haven’t mastered the art of eyeshadow self-portraits so I apologize in advance for the quality, but here are a couple of close-ups of me wearing Lavender Lust so you can see what it looks like with blue eyes. 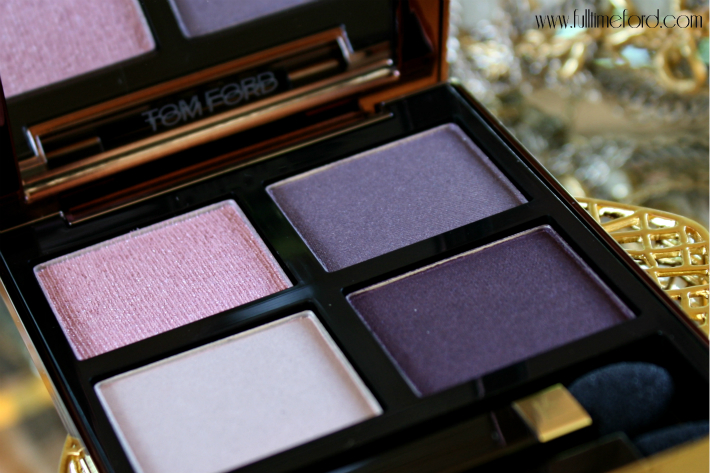 I have the sheer lavender color on as a base and the pale plum as a contour color. The light pink sparkle is applied on the inner corner and center of the eyelid. I lined my upper lashes with the Eye Defining Pencil in Bruise and ran the dark aubergine shade over it and finished the look with the Brow Sculptor in Taupe and Extreme Mascara in Raven. I wish you could see more of the definition in the look but this is the best I can do for now when it comes to selfies! The shadows wear beautifully and are very long-lasting (they last through a work day and into the evening hours, no problem). The 0nly issue you run into is there is some fallout from the sparkle/glitter shade but that is to be expected. I definitely love Lavender Lust though I am a fan of Violet Dusk as well. This one is just a bit more… elegant. Do you own either quad? Which do you prefer? Saks Fifth Avenue Tip: select the pre-order color from the drop down menu if you don’t see it automatically. Thanks for your extremely comprehensive post. 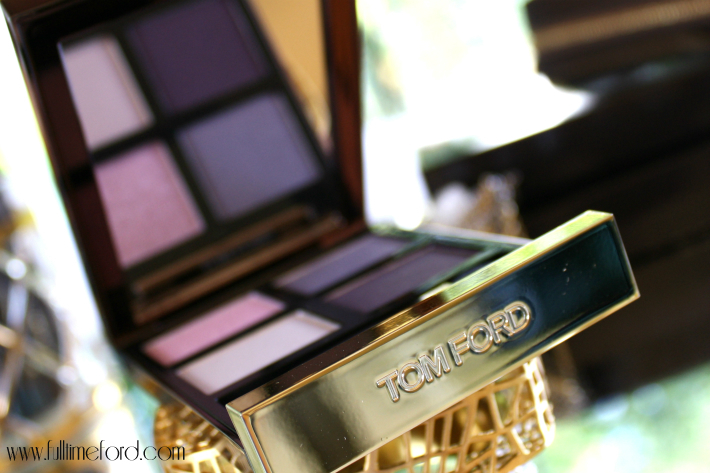 I am totally addicted to Tom Ford eyeshadows and have started collecting all his quads (save the blue and green themed shadows). I am really tempted by Lavender Lust but I already own Violet Dusk, Crushed Amethyst and Seductive Rose and find the colour scheme fairly similar already. Your swatches are stunning. 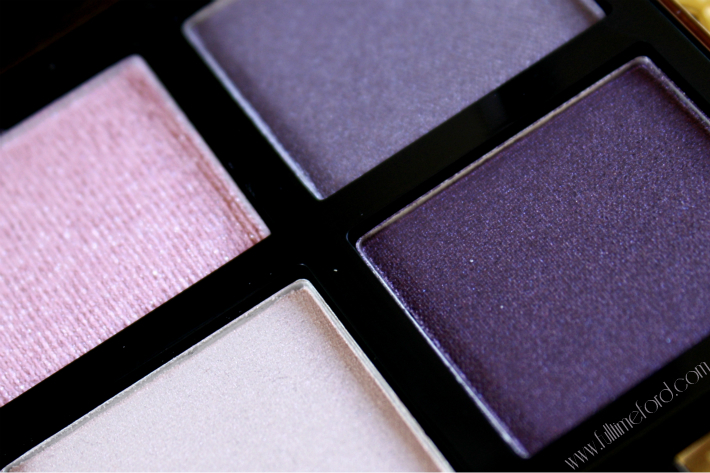 Would you say that Lavender Lust is certainly more grey-toned than the other purple quads? Hehe I am really just trying to talk myself into getting it! Also do you know anything about the other new quads Orchid Haze and Ice Queen? I just CANNOT wait until they arrive. I have been looking eveywhere for the violet dusk. I want to wear it for my wedding, but it seems that it has disapeared of the face of the earth. I would really like if someone can help me get it. Anyway, a really really really amaizing review. Very Detailed, yet straight to the point, and very good pics and swatches as well. Two thumbs up.